Every parent knows how hard it is to wake the kids up and get them ready for school. But never fight them to get up and shower again with the Shower WOW! With Shower WOW, that process just got a little bit easier. The new, fun LED rainbow showerhead, Shower WOW will turn any toddler to teen’s drab shower into a mini party! My favorite feature is that it is powered by water pressure SO NO BATTERIES NEEDED! Plus, the Shower WOW has a universal fit with a high quality chrome finish to match any décor. It is also super easy and quick to install. My husband literally installed it in minutes. Juat remove your existing shower head, replace with Shower WOW and turn on the faucet to shower a cascade of colors. My kids seriously BEG to take showers now and want to stay in the shower forever! It is a dance party atmosphere every time and my kids think it is the greatest thing ever! You can purchase the Shower Wow for only $14.95. 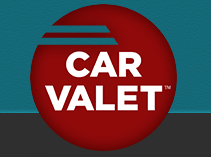 Another item sure to make your carpool and drive to school and work a whole lot easier and smoother is the Car Valet! No one likes a messy car with nowhere to place all the things you need, but there’s a new organizational tool for that, Car Valet! Without taking up extra seat space or ruining the aesthetic of your vehicle, Car Valet fills the gap between your seat and the console holding all your needed items within close reach so you can safely keep your eyes on the road. I absolutely HATE when my phone falls into the crack between the seat and the middle console. I never have to worry about that again with the Car Valet! Plus, you get extra cupholders and storage! Can't go wrong with that! You can purchase the Car Valet for $14.95 for TWO!